The Yamaha CLP-665GP – A Clavinova with grand design; sound and appearance that will add a touch of class to any environment. 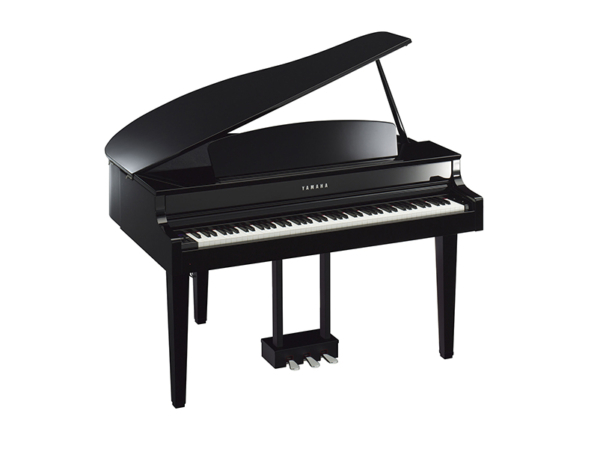 Real Grand Expression; is a phrase that defines the expressive capability of Clavinova. It is the key components of the sound, the touch and the pedals, together with the application of technology developed through a history of acoustic piano manufacturing. With Real Grand Expression, these elements are combined perfectly into a single instrument, creating the exact sound you want through the touch of the keys and the feel of the pedals. When you play a Clavinova, you feel like that you are playing a grand piano. 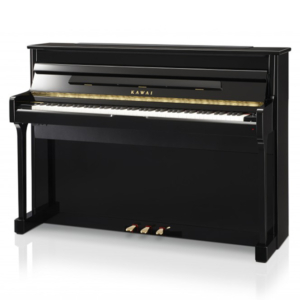 The CFX, Yamaha’s finest 9-foot concert grand selected and played by the winner of the 2010 International Chopin Piano Competition and the Imperial from Bösendorfer, a brand held in high esteem by pianists throughout its long history. These renowned pianos are characterized by distinctive traits such as power, versatility, subtlety, lightness and mellowness. Reproducing the resonance and reverberation of an acoustic piano. 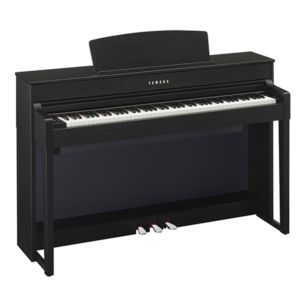 The Clavinova faithfully recreates the sound of an acoustic piano by utilizing features such as String Resonance to emulate the mellow tonal colors that occur when strings react to one another. The result is a beautiful tone with rich, deep reverberation. A pianist changes the volume and dynamics of the sound by varying the pressure applied to the keys. 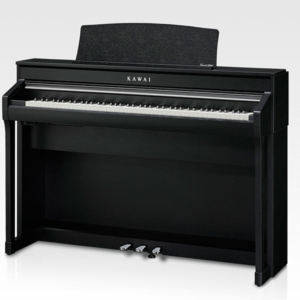 A Clavinova responds perfectly to give the player an outstanding level of performance control. By using long, carefully-sampled recordings of notes on a piano and unique Yamaha technologies to achieve smooth tonal transitions, rich, sonic detail is delivered in response to the touch of the player. Featuring Yamaha’s Smooth Release technology, Clavinova recreates the crisp tone heard when playing staccato as well as the lingering sound produced by releasing the keys slowly. Graded Hammer 3X (GH3X) keyboard. Using knowledge gained from many years of piano manufacturing, Yamaha Clavinova has an incredibly realistic keyboard feel that recreates the sensation of playing an acoustic instrument. By using a similar hammer mechanism (with no springs) as is found in a grand piano, the GH3 keyboard action reproduces the touch of an acoustic instrument, from the heavier feel in the lower register to the lighter touch in the upper octaves. It also features a three-sensor configuration which accurately senses and interprets the behavior of the keyboard to create a response and feel very much like that of a grand piano. The newly developed GH3X keyboard features an escapement mechanism that reproduces the feel of an acoustic piano as it goes through the let-off of the jack and the fall of the hammer when a key is played very softly. The sound of a Clavinova is calibrated in fine detail, with speaker positioning and body materials checked to ensure that the entire instrument resonates optimally. To create a sound field that is very close to that of a grand piano, the Clavinova features tone escape ports in several locations throughout the body that allow the sound from the speakers to be projected to the listener without being trapped inside the instrument. A variety of piano lesson pieces. Features 303 exercises for building piano technique from popular methods like Hanon, Bayer, Czerny and Burgmüller. Connect an iPad using the NoteStar app to view the printed score and even turn pages using the pedals. The recording function featured in Clavinova digital pianos allows you to record your performances with a single touch, which is useful when you want to review or archive your playing. You can record up to 16 tracks for simultaneous playback, allowing you to create your own songs using different sounds, or record each hand separately. Record performances to USB flash memory as audio files (WAV format) that you can save and play back on a computer or portable audio device, share with friends or use to create a CD. 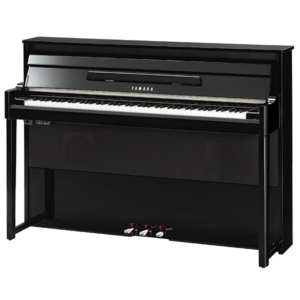 In addition to pianos, the Clavinova CLP Series boasts an impressive library of instrument Voices including electric pianos, strings and organs. Enjoy the freedom to choose the ideal Voice for the genre of music you want to play or record. New reverb that offers dynamic ambience and spatial effects. The ability to adjust performance volume is extremely useful at home where players may not always be able to play at high volume levels. At low volumes, bass and treble used to be difficult to hear, however, Clavinova is equipped with Intelligent Acoustic Control (IAC), which adjusts the sound automatically, allowing players to enjoy balanced sound at any volume level. If you use an iPad, iPhone or iPod touch, Yamaha Apps can make playing more creative, enjoyable and fun.